Bowing to mounting public pressure in the backdrop of the release of the juvenile convict in the Nirbhaya case which had led to an unprecedented public outrage, Rajya Sabha passed the Juvenile Justice (Care and Protection of Children) Bill, 2015 which had been hanging fire in the House for the last many months. 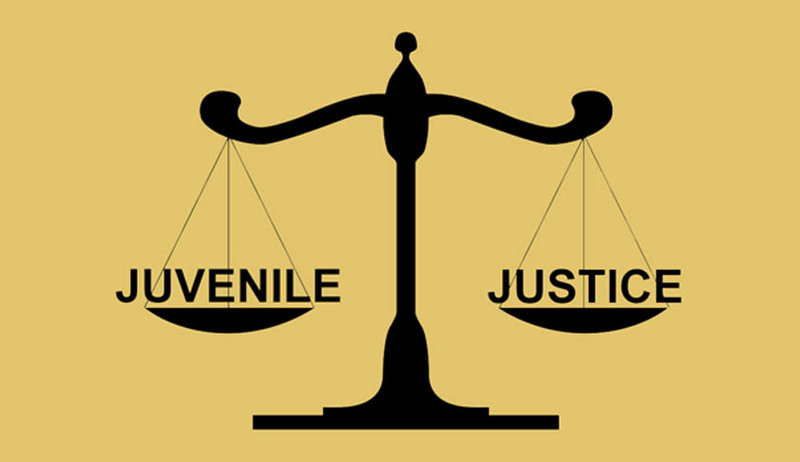 Under the new law, juveniles between the ages of 16 to 18 years can be tried as adults in ‘heinous cases’, thereby fulfilling one of the main demands of those who had been seeking changes to the Juvenile Justice Act, 2000. With Nirbhaya's parents Asha Devi and Badri Singh in attendance (they were seated in the visitors' gallery to watch the proceedings) Rajya Sabha today finally took up the matter for discussion and passage. The Bill had been pending consideration of the Elders for the last 7 months after it had been passed by the Lok Sabha on May 7, 2015. Moving the Bill for consideration and passage, Women and Child Development minister Maneka Gandhi today said that the legislation was "compassionate" and comprehensive in nature. "We may not be able to do anything about the juvenile convict in the Nirbhaya case but we can deter many other boys," she said. However several parties, including the NCP, CPM and the DMK, pushed for referring the Bill to a select committee, arguing that further examination was required to decide whether the age for punitive action should be reduced to 16 years from the current 18 years. Anu Aga (Nominated member) also demanded that the Bill be referred to a Select Committee for examination as lowering the age of a juvenile from 18 years to 16 years will be a step in backward direction and would be considered a knee-jerk reaction only. Left parties staged a walkout after the Chair declined CPI(M) leader Sitaram Yechury’s request to send the Bill to a parliament select committee for further examination.“Today you are demanding the juvenile age to be reduced from 18 to 16 what if tomorrow a 15-year old commits a horrendous crime,” Yechury said before leading the walkout from the House. The Bill will now be sent to the President for his assent whereupon it will become the law replacing the Juvenile Justice Act, 2000. (iii) petty offences (below three years of imprisonment). Under the Bill, juveniles between the ages of 16-18 years can be tried as adults in cases of commission of heinous offences, irrespective of date of apprehension. Any 16-18 year old, who commits a lesser, i.e., ‘serious offence’, may be tried as an adult if he is apprehended after the age of 21 years. In all other cases, juveniles will get a maximum of three years in institutional care, as determined by the JJB. In case of heinous offences, if a juvenile is apprehended before 21 years of age the JJB will conduct a preliminary inquiry. This will determine his mental/physical capacity to commit an offence and an understanding of its consequences. The JJB will then pass an order that recommends: (i) interventions like counseling or community service; (ii) staying at an observation home for a temporary or long-term period; or (iii) refer the juvenile to a Children’s Court to determine whether to try him as an adult. A Children’s Court is a Sessions Court notified under the Commissions for Protection of Child Rights Act, 2005. A child who is found to be in need of care and protection shall be brought before a CWC within 24 hours. Subsequently, a Social Investigation Report is required to be prepared within 15 days. After assessing the report, the CWC may recommend that the child be sent to a children’s home or another facility for long term or temporary care, or declare the child as free for adoption or foster care. The Bill prescribes penalties for cruelty against a child, offering a narcotic substance to a child, and abduction or selling a child. The Central Adoption Resource Agency will frame regulations on adoption. Adoptive parents should be physically and financially sound. A single or divorced person may adopt a child. A single male may not adopt a girl child. The Bill also provides for inter-country adoption. Institutions for child care having a valid registration under the 2000 Act will continue to be recognized. Other institutions are required to be registered within six months of this Act coming into force. The registration is valid for five years and needs to be renewed. Inspection committees will inspect these institutions and registration may be cancelled if they do not meet the prescribed criteria. Critics of the Bill have however flagged certain issues with the Bill as passed by the Rajya Sabha. There are differing views on whether juveniles between the age of 16 and 18 years should be tried as adults in ‘heinous cases’ and ‘serious offences’ if they are apprehended only after the age of 21 years. It has been pointed out in some quarters that this provision is not in accordance with the UN Convention on the Rights of the Child, as ratified by India. The Parliamentary Standing Committee in its report had observed that the Bill violates the UNCRC as it differentiates between children below 18 years of age. The UNCRC states that signatory countries should treat every child under the age of 18 years in the same manner and not try them as adults. There are also apprehensions that this clause which differentiates between juveniles depending on the nature of the offence, may not satisfy the requirements of Article 14, 20(1) and 21 of the Constitution. Yet another anomaly of the Bill is that the penalties prescribed under the Bill are not in proportion to the seriousness of the crime committed. For example, a person giving a child a tobacco product or liquor attracts a higher term of imprisonment and fine than a person who engages in child trafficking.